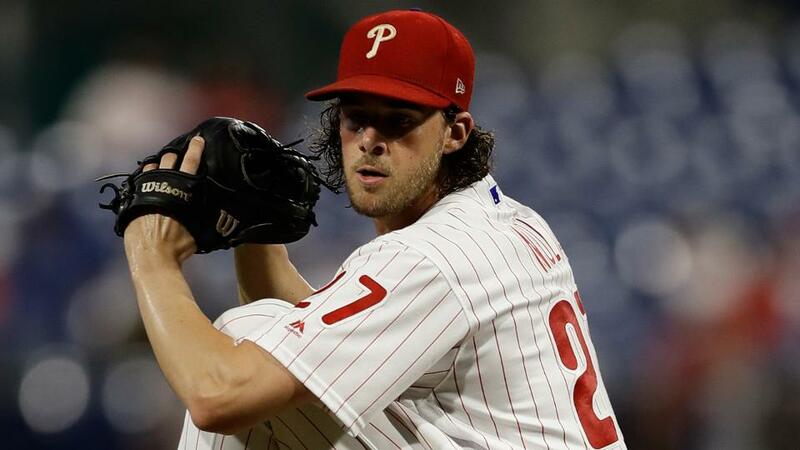 The Phillies are in agreement on a four-year, $45 million contract extension with ace Aaron Nola, with a club option for a fifth year, a source confirmed to MLB.com's Todd Zolecki on Wednesday. The contract extension will buy out Nola's three seasons of arbitration eligibility as well as his first free-agent year in 2022. Nola emerged as one of the top pitchers in the National League in a breakout 2018 season. Nola was a first-time All-Star and finished third in the NL Cy Young Award voting behind only Jacob deGrom and Max Scherzer.